Every family should have at least one eccentric aunt or uncle, I’ve decided. 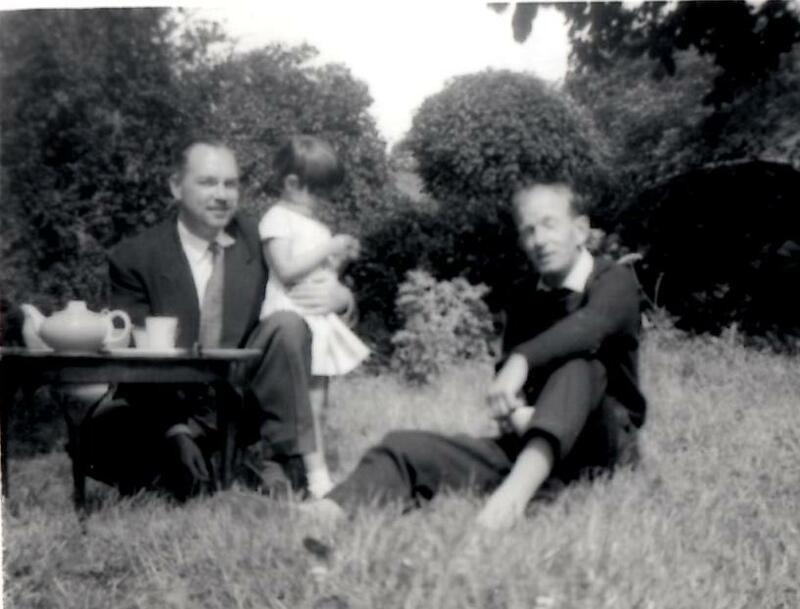 Mine did – in the form of Uncle Ivor: Dad’s best friend. They’d grown up together since meeting, aged five, at Miss Polly’s school in Purley, South London. We called him Uncle although he wasn’t related – when we were children it was the polite way to address adult friends. 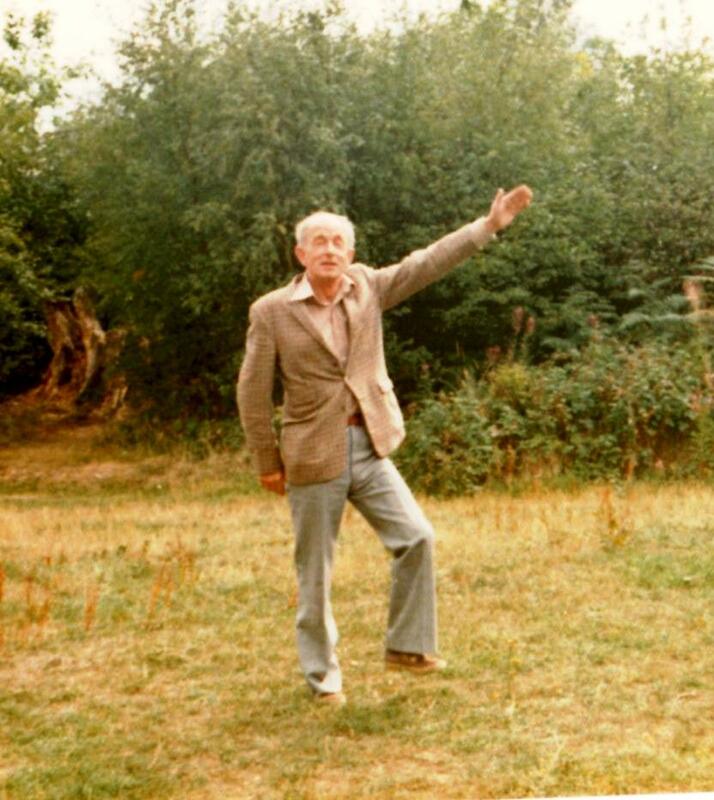 Uncle Ivor spent most weekends with us, mucking in with gardening or the restoration of our once derelict old house. At least, I think that was the idea. I have vivid memories of him and Dad spending hours roaring with laughter as they moved heavy pieces of furniture from one room to another, or they’d be up trees sawing branches down in the wilderness that was our garden. While Dad had to maintain a modicum of parental authority, Uncle Ivor was Peter Pan personified. His clothes were threadbare, he’d giggle at things until tears rolled down his face and he smoked like a chimney. A confirmed bachelor, he lived with straight-laced parents so I guess being with us allowed him to let off steam and be himself. He’d arrive on a Saturday, around teatime. This was a source of amusement: as a family we didn’t recognise teatime so were never sure what time Ivor meant – Dad teased him about it which made Ivor all the more insistent that teatime would be when he would arrive. Generally, we discovered, this meant any time between three and five in the afternoon and he’d expect a cup of tea and slice of cake which Mum always provided. He’d usually stay the night, sometimes even stay for lunch on Sunday, but more often than not he would suddenly announce his departure and before we knew it, he was gone. He wasn’t good at goodbyes. Ivor was more than willing to join in my imaginary games. I was a tomboy and fanatical about Robin Hood, assuming the role at every opportunity. Ivor played Sheriff of Nottingham and was happy to be tied to a deckchair with a skipping rope while my sister, as Friar Tuck (she didn’t know any better) and I rescued Maid Marion (Mum) from her kitchen. Dad was usually on the way back from a crusade, I think, which meant that in reality he was either finishing off a job or fetching a couple of beers from the fridge. Firework night always included Ivor. Mum would be in charge of supper while Dad and he would be in charge of our firework display. My sister and I would watch from a safe distance behind the dining room window as Dad and Ivor behaved like out of control boy scouts detached from their patrol. One particularly wet November 5th when the bonfire lighting was not going well, Ivor added a splash of petrol to the mix and we had an inferno. Sometimes after supper, we’d sit around the table playing games – monopoly or cards; Ivor’s trump card would invariably be an ace or king. I think he cheated at monopoly. Whoever lost anything had to pay a forfeit and I remember Ivor running barefoot outside in mid winter, snow up to his ankles. He even came on holidays with us. How long suffering my mother must have been. He never came for the whole time but would pitch up for a few days, usually without any luggage. More than once I remember us rushing to the nearest town for Ivor to stock up on underpants. When I was about eleven, we had our first holiday abroad. Dad drove us, via the Cherbourg ferry, to south Brittany. This was adventuring! We were like the Larkin family from H.E. Bates’ The Darling Buds of May. Ivor followed on by train and we met him at the station. He arrived without a bag: situation normal. One evening, we went to a self-service cafe. We had settled down with our food but Ivor was still at the counter. He picked up a bottle of fizzy drink and shouted over the heads of the mainly French clientele, to ask us if we’d like some Pschitt – although his pronunciation left something to be desired. He and Dad were off again, giggling like school boys. My sister and I only got the joke once I’d started attending secondary school and my education included profanities. A couple of days ago, I googled the derivation of the insult, “Fishface.” One of the answers claimed that the expression had originated in Leatherhead. Ivor would be so proud. As we grow up, parents become a source of embarrassment: it’s a fact of life, happens to us all. Somehow, eccentric aunts and uncles bypass this stage and remain as they’ve ever been – accepted for their foibles. I hope that one day someone somewhere will regard me as their eccentric aunt. I’m working on it.